Boy, what a difference a director makes. 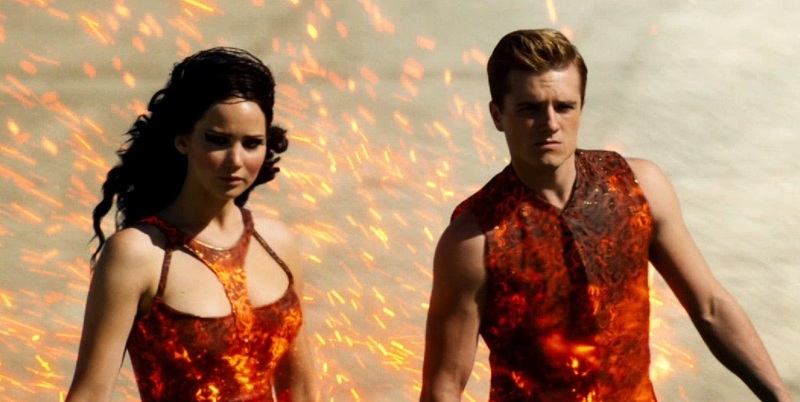 Happily, The Hunger Games: Catching Fire is a huge improvement on its predecessor. Unhappily, you can only do so much with the source material, and much of Catching Fire was a rehash of the original Hunger Games novel, which conveniently placed Katniss and Peeta right back in the arena so they can battle a whole new set of artificial challenges sent in from above. But we'll start with the good stuff first, and there's quite a bit. With new director Francis Lawrence at the helm, the pacing is hugely improved from the first outing, and the movie is purely entertaining throughout, moving along from one confrontation and crisis to another, with Katniss' own internal conflict increasing with every new hurdle thrown her way. Also welcome is the steady camera, as Gary Ross' ugly and unnecessary shakicam has disappeared entirely, allowing us to actually see everything they're able to make of the world of Panem this time around. The budget has clearly been magnified, and the production and costume designers make the most of it, showing off some spectacular settings and much improved CGI, along with outrageously colorful costumes on the citizens in the Capitol, who must have had a lot of fun getting dressed in the morning. An eyeful of this world at every moment adds to the enjoyment, and the film's never boring. Also back is Jennifer Lawrence, herself a newly minted superstar after her blockbuster year in 2012, and she once again brings a fierce intensity to Katniss Everdeen. There's always intelligence and courage behind her eyes, and she's a worthy anchor to the franchise that will likely define her early career. Unfortunately, the two love interests she's saddled with are not nearly as interesting as she is, and she has no chemistry with either one of them, which makes it hard to get invested in the half-hearted love triangle that's been set up. I still maintain they should have jettisoned the Liam Hemsworth character entirely for the films, as he was tangential at best in the books and completely useless in the movies. Josh Hutcherson fares no better here, as Peeta is in the movie more, but hardly has anything interesting to do or say. Philip Seymour Hoffmann and Jeffrey Wright bring some more A-list talent to the increasing cast of characters, as a duplicitous agent of Donald Sutherland's evil President Snow, and a fellow older tribute in the games. Hoffmann basically sleepwalks through his role though, looking like he strolled onto the set every day smirking, happy to be cashing one of his easiest paychecks. As for the story, Catching Fire details the aftermath of the last Hunger Games, as Katniss and Peeta are now celebrities, tasked with selling their fake love story to the increasingly rebellious citizens that populate the 12 districts of Panem, as they hunger for revolution in the wake of Katniss' example. Katniss also wavers between her love for Peeta or Gale, but all that is brought to a halt when Snow announces the new Hunger Games, which will be a special anniversary round that draws the tributes from the pool of existing victors (which of course, is what gets Katniss and Peeta back in the arena). By the way, if all that exposition sounds like another language, it basically is- these movies are for fans of the books and no effort is made to bring in anyone new (not that it needed to, as box office results have shown). The Hunger Games books weren't exactly a beacon of originality. As I watched this movie I realized the games are essentially Survivor meets Jumanji, with a bit of The Truman Show thrown in. The books were actually quite violent as well, with the explicit death of another child just around every corner, but since these films are aimed at a teen audience, and corporate necessity dictates a PG-13 rating, you will never get the full impact of those deaths in the movies the way it was depicted on the page. But strictly as a franchise film, it does what it's supposed to do, and in a much more visually attractive, entertaining and satisfactory manner than the first one. 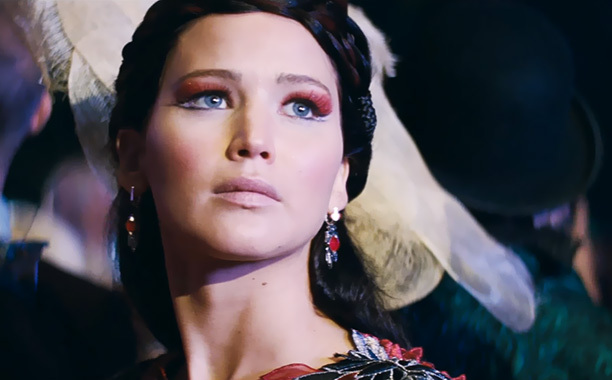 If you're a Hunger Games fan, this is a faithful, well-acted rendering, and you will more than get your money's worth. January 22, 2014 by Ariel Shavonne.